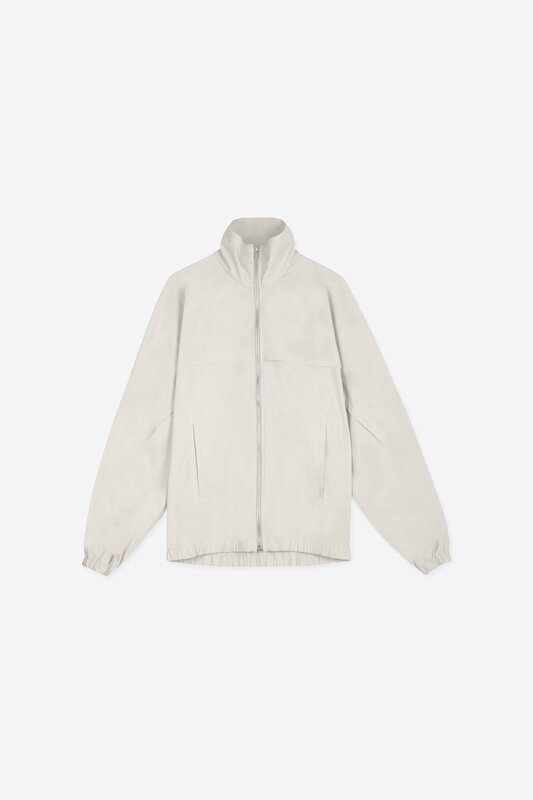 This lightweight water resistant jacket embodies functional minimalism. 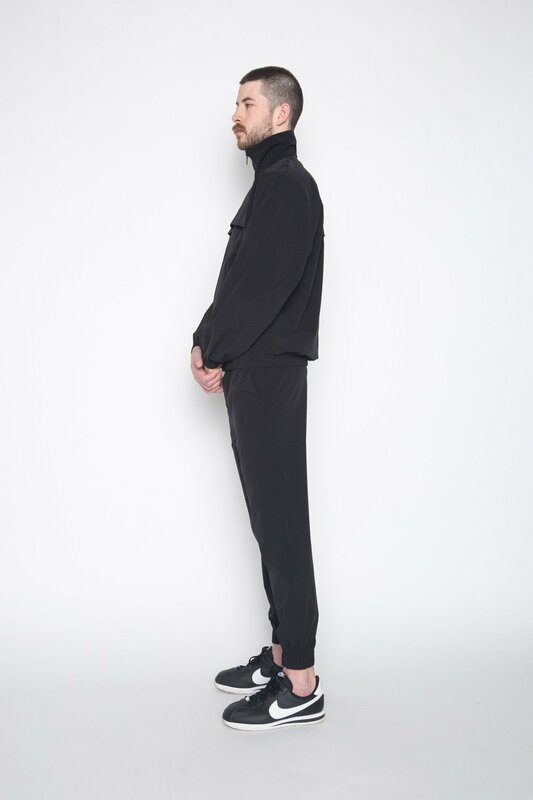 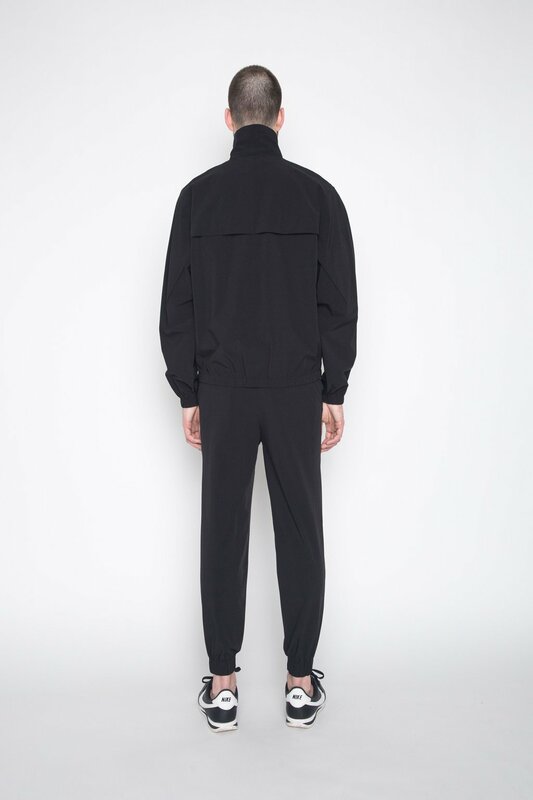 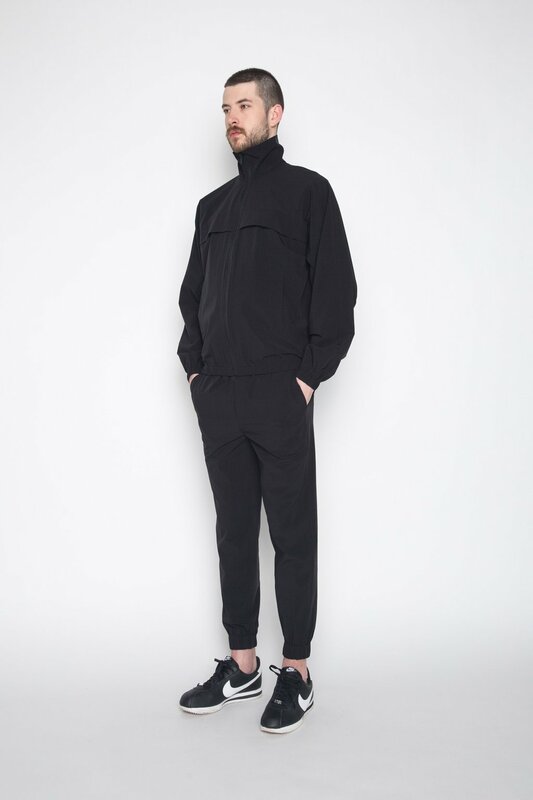 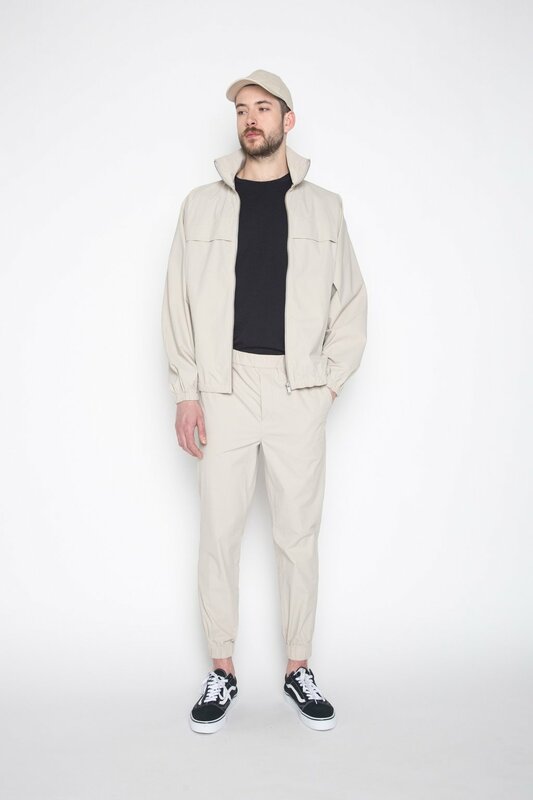 It features a horizontal storm flap across the front and back, a high collar, a zip up front, side slit pockets, and elastic cuffs and bottom hem. 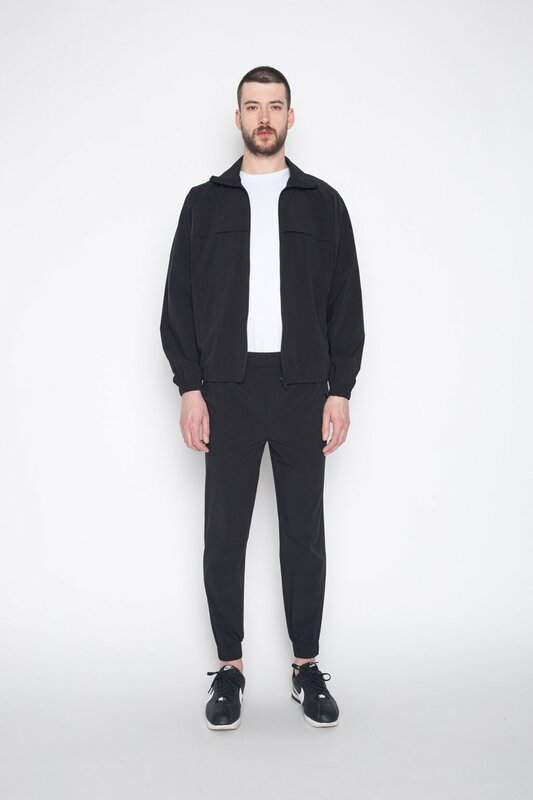 Try pairing with joggers for a casual and contemporary look.